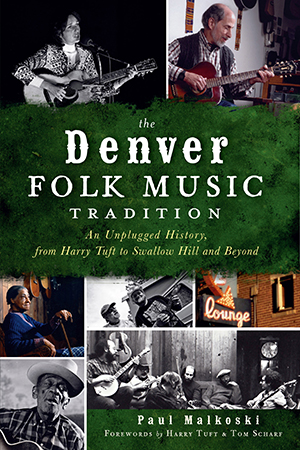 In 1962, Harry Tuft founded the Denver Folklore Center to bring together contemporary folk music fans and performers such as Joan Baez, Pete Seeger, Judy Collins and so many more. In the following decade, a core of folk enthusiasts established the Swallow Hill Music Association. These two organizations have persevered to sustain a lasting folk legacy in the Mile High City. This is the story of how the music and the people who love and live it shaped a unique, influential tradition. Join local historian and musician Paul Malkoski on a tour through more than fifty years of Denver's proud folk music scene.